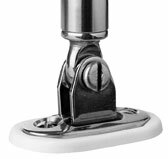 Universal deck fitting with straight or angled clamp complete with white Nylon shoe, also sold separately. Part No. 0886 Deck Fitting with straight clamp complete with white Nylon deck shoe. Part No. 0886A Deck fitting with 45o angled clamp complete with Nylon deck shoe. Part No. 0886P Replacement white Nylon deck shoe. All fittings in the Stainless Steel and Cast range are compatable with each other, but are not compatable with Standard Range or the Heavy Duty range canopy fittings. Part No. 0995 Made from 316 stainless steel, with 3 countersunk fixing holes. 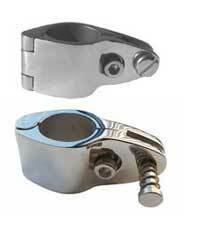 Folds flat when not in use to provide a flush fitting preventing injury to toes. Part No. 0995Q With quick release pin. Part No. 0996 Made from 316 stainless steel, with 4 countersunk fixing holes. Supplied complete with Nylon deck shoe. Part No. 0996Q With quick release pin. Nylon tube shoe to allow universal deck fittings 0886 and 0886A to be mounted to 25mm (1in) tube. Complete with 2 threaded tube inserts. Made from 316 stainless steel quick and easy to use, simply place two halves on tube and slide together fasten screws to clamp on to tube. 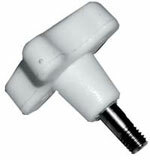 End plug fixing available with standard screw fixing or quick release pin for easy removal of end plugs. Made from 316 Stainless Steel. 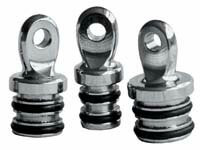 Superior design to the external end plugs because it dispense with the grub screw which does not always tighten effectively and can damage the tube. Cloth can be assembled onto the frame or clamps can be replaced with removing the plug. For use with ALL STAINLESS RANGE only. Made from 316 Stainless Steel. Comes with Part No. 0972 adjusting extension as standard. Unique Patented adjustment allows for easy installation. 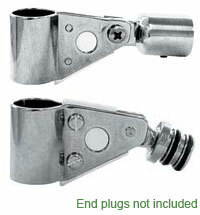 Use with end plug extensions to adjust the frame length. Please select left or right hand thread. Made from 316 stainless steel. Comes with Part No. 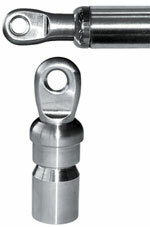 0972 adjusting extension as standard or with no fitting for use with keyhole fitting (4152K). Complete with hole for rivet or self tapping screw. Use with end plug extensions to adjust the frame length. Please selct either right or left hand thread. Made in 316 stainless steel. Use with adjusting end plugs to create the perfect canopy, can be used to tighten the canopy or to fill the gap if tube is cut too short. Please select either right or left hand thread. Made in 316 stainless steel, suitable for the all stainless range. Made from cast stainless steel for use with the all stainless range of canopy fittings. Made from cast stainless steel, comes complete with grub screw fixing, For use with the all stainless range of canopy fittings. 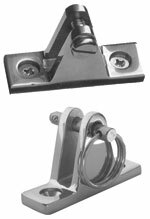 Made from cast Stainless Steel available with either screw fitting or a Quick Release pull pin for fast removal of the canopy frame leaving the clamp on the rail for easy re-fitting. 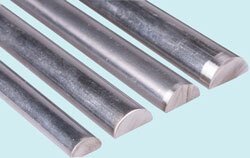 Suitable for tube 22m (7/8in) to 32mm (1 1/4in). 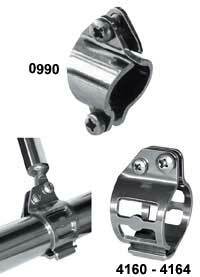 For use with the All Stainless range of canopy fittings. 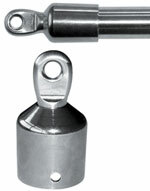 Comprises of clamp and hand knob to provide quick release of canopy. 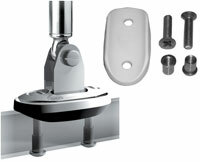 M6 hand knob for all stainless range, use to make quick release canopy. Made from 316 stainless steel to create more complicated structures. 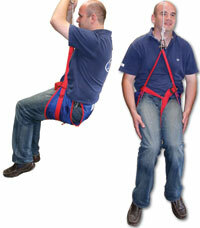 Can be attached to existing structures such as pulpits etc. Made from 316 stainless steel With Nylon trim. 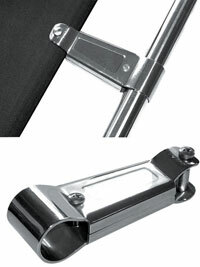 Attaches to the grab rail with an end plug and clamps on to the frame using two clamping screws. Fits both internal and external end plugs. Sold in handed pairs. Made from 316 stainless steel. Fixes to the existing frame and clamps to the grab rail. Fits around the cloth so no cutting is necessary. For use with all stainless and standard range of canopy fittings. Made from Cast Stainless Steel for use with the All Stainless and Cast ranges of canopy fittings.